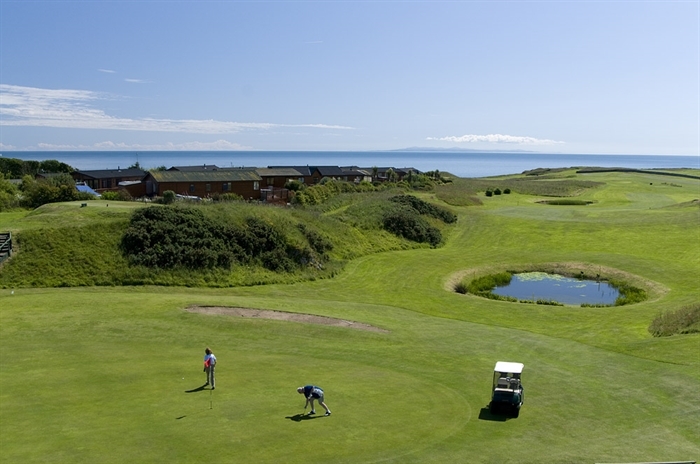 A perfect holiday golfing experience, perched above the beautiful Solway coastline with stunning sea views, adjacent to one of the areas’ most popular holiday parks. 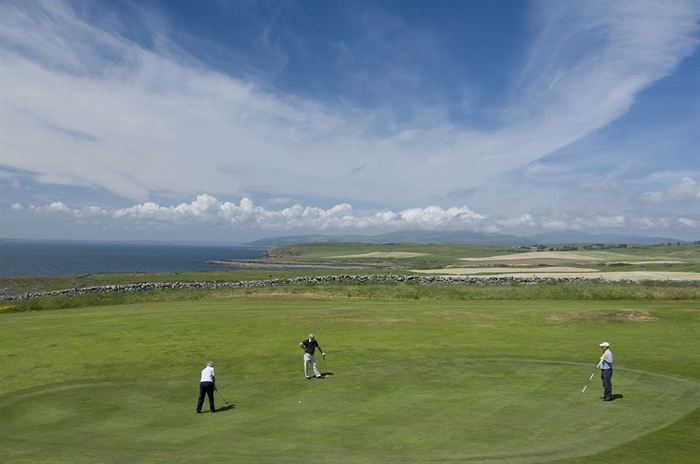 Brighouse Bay Golf Club includes a six bay covered driving range, short game practice area, 9 hole par 3 course as well as an impressive 18 hole Championship course that has been designed to make the very most of its spectacular setting. 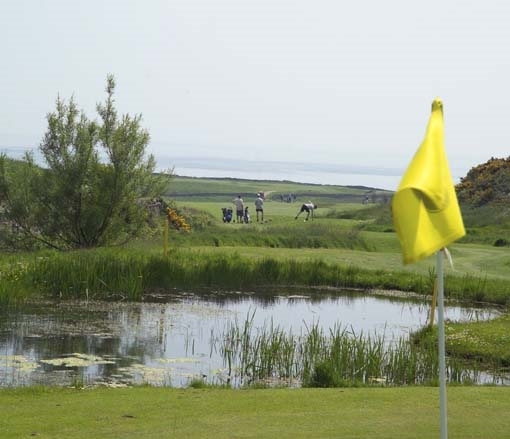 Exceptionally well presented and playable year round, this is a long course on a quiet peninsula with natural coastal terrain, plus the varying lengths from each of the 3 tees, providing interest, challenge and satisfaction for golfers of all abilities. The driving range, 9 hole course and resident Pro make Brighouse Bay an ideal destination for families and those new to the game, while the 18 hole Championship course is must play for more experienced golfers. Golf packages are available in luxury lodge accommodation in the award winning Holiday Park of Brighouse Bay, which is adjacent to the course. 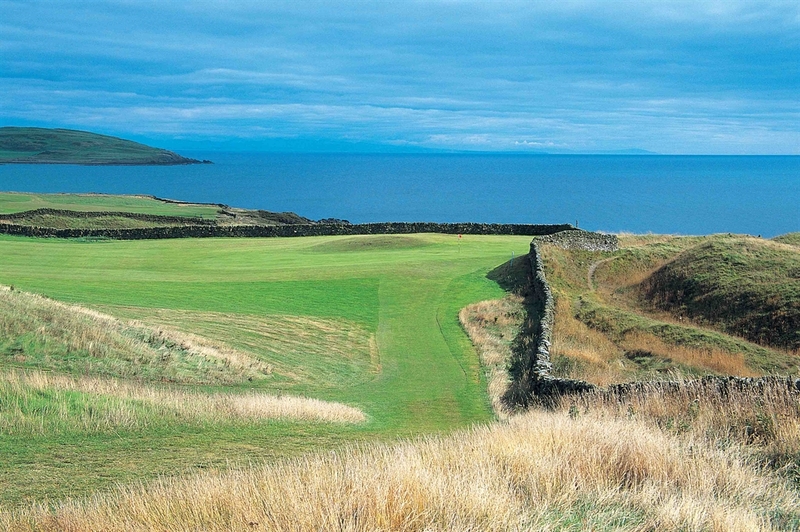 The views from the 8th tee are one of the many highlights of this memorable course. 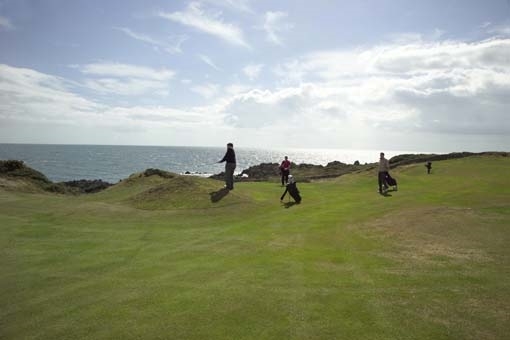 Accuracy is a must as you hit over a sea inlet, playing over a couple of dry stone walls to reach the green. Southerness to the east and Stranraer to the west. Tee Time Availability: Good, pre booking recommended in summer.